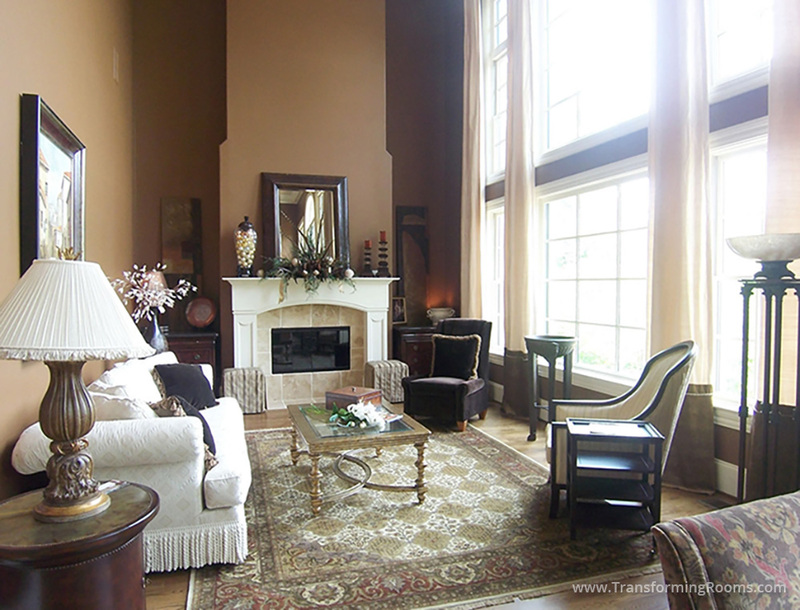 This two story living room needed beautiful drapes, which our seamstresses and installers handled with ease. We also designed the mantle shape and scale, changed the window sizes, and omitted built in shelving on each side of the fireplace. 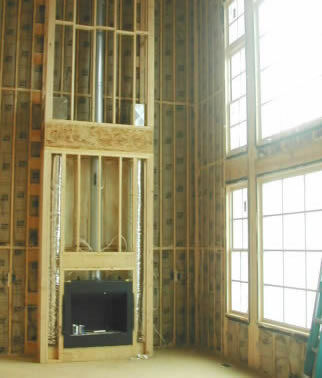 We saved the client thousands of dollars by recommending changes early, before new construction began.